So, the latest Monotonik release is from Justin Hassler, aka Same Nice Lamb, with the 4-track piece of classic meandering electronica, ‘Lack Of Lamb’ – and we’ll let Hassler explain his own background here: “I live in Milwaukee, Wisconsin, USA. By day, I work in a public library. By night, I play with electricity. I have no music released under my name.” Well, now he does. 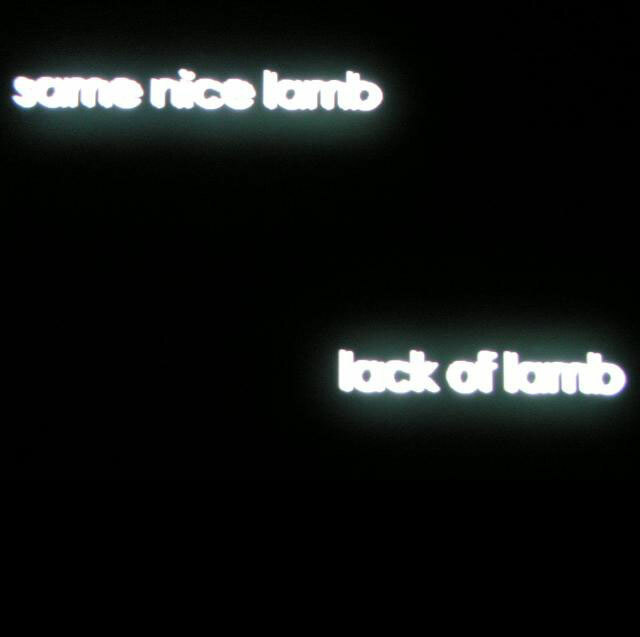 Why put out ‘Lack Of Lamb’, then? To put it bluntly, it’s our kind of sound – the looped idm melodic grind that gets into your head and won’t get out. From the first track, ‘Archipelago’, through the floating leads and crunching drums of ‘Feather’, there’s a nice blend of layers and builds and dimuendos that reminds us of previous Monotonik artists like Aereal in only good ways. We end with two mint tracks, ‘The Struggle For A Cab’, which is mewling in some adorable ways, before we end up with the funky, beepy ‘Gold Master’, rounding out a perfectly shaped 4-track EP. Thanks to Same Nice Lamb for the contribution, and we look forward to continue bringing you music in the genres and styles we like, such as this little beauty, yay.